Three Flags Day commemorates an 1804 event in St. Louis that finalized the 1803 Louisiana Purchase and thereby doubled the size of the United States. 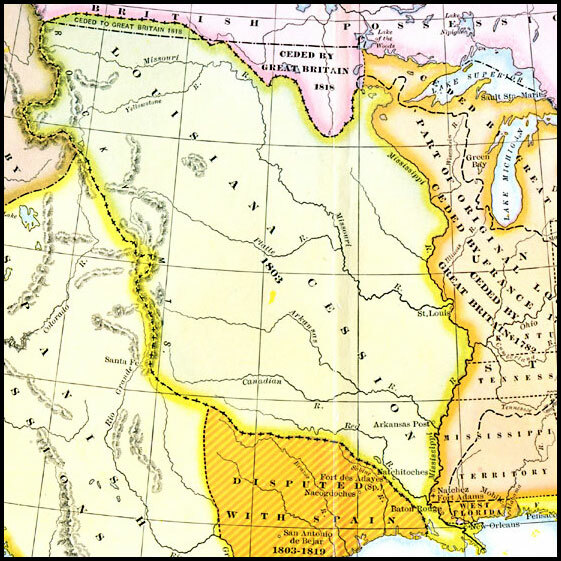 The Louisiana Purchase Treaty had been signed in in April of the previous year and ratified by the Senate on October 20. New Orleans had been transferred to the U.S.in December, but the ceremony transferring Upper Louisiana did not take place until March of 1804 in St. Louis. On March 9, the Spanish flag was lowered and the French flag was hoisted over the city. The next morning, the French flag was lowered and the U.S. flag was raised symbolizing the official transfer of the Louisiana Purchase to the United States. Explore these maps of the territorial expansion of the U.S. and other resources related to colonial French and Spanish history in North America. 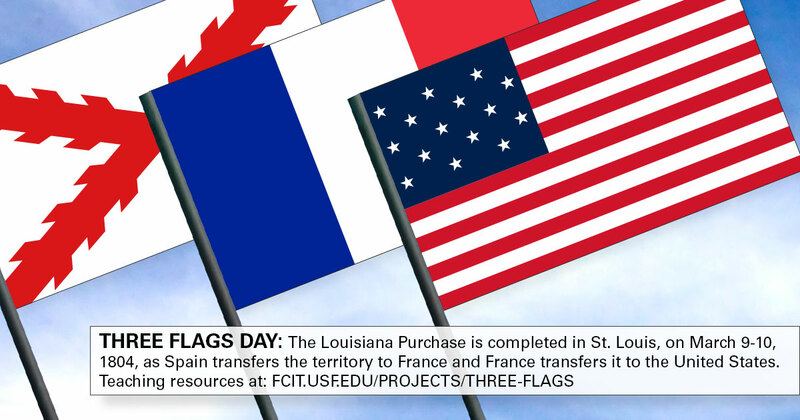 Use this banner on social media to share our collection of resources around the Louisiana Purchase and Three Flags Day. 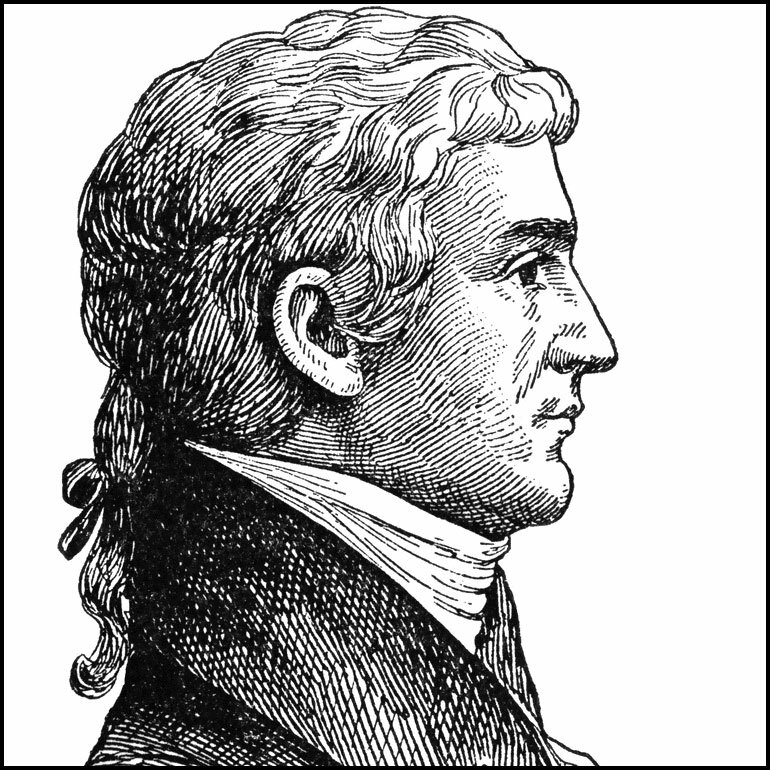 Meriwether Lewis (August 18, 1774–October 11, 1809) was an American explorer, soldier, and public administrator, best known for his role as the leader of the Lewis and Clark Expedition. 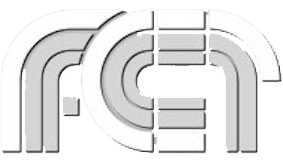 Portrait from the ClipArt ETC website. 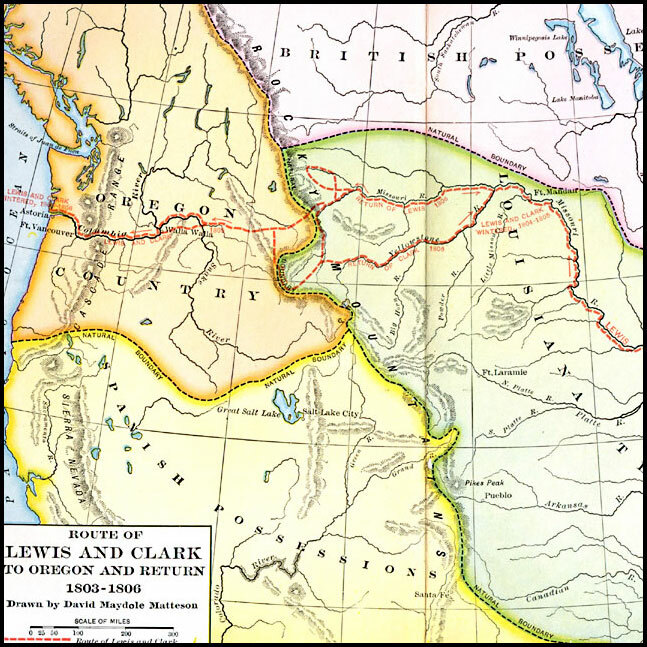 The route of Lewis and Clark through the Louisiana Territory to the Pacific Ocean. Map from the Maps ETC website. Over a hundred maps in this collection document the territorial growth of United States from the original 13 colonies to the Pacific Ocean. 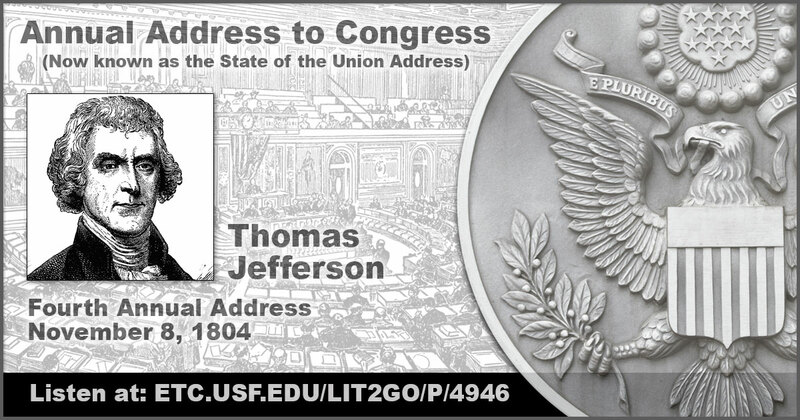 Thomas Jefferson (April 13, 1743 – July 4, 1826) was the third President of the United States (1801–1809). He authorized the Louisiana Purchase. Portrait from the ClipArt ETC website. President Jefferson used his annual message to Congress, October 17, 1803, to explain the reasons for moving forward with the Louisiana Purchase and the expected benefits regarding security and trade. 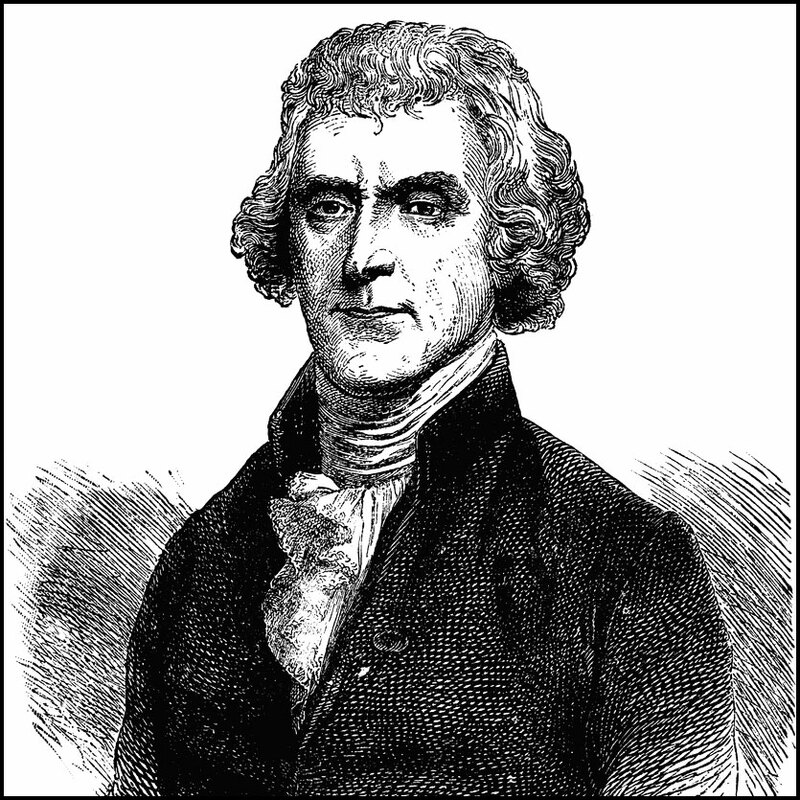 President Jefferson used his annual message to Congress, November 4, 1804, to review issues related to the Louisiana Purchase and the establishment of temporary government in the territory. If you are writing a report or making a presentation about anyplace in the world, the chances are that more than one flag has flown over the area in its history. You may just find the exact flags you are looking for in these collections of historic and contemporary flags. 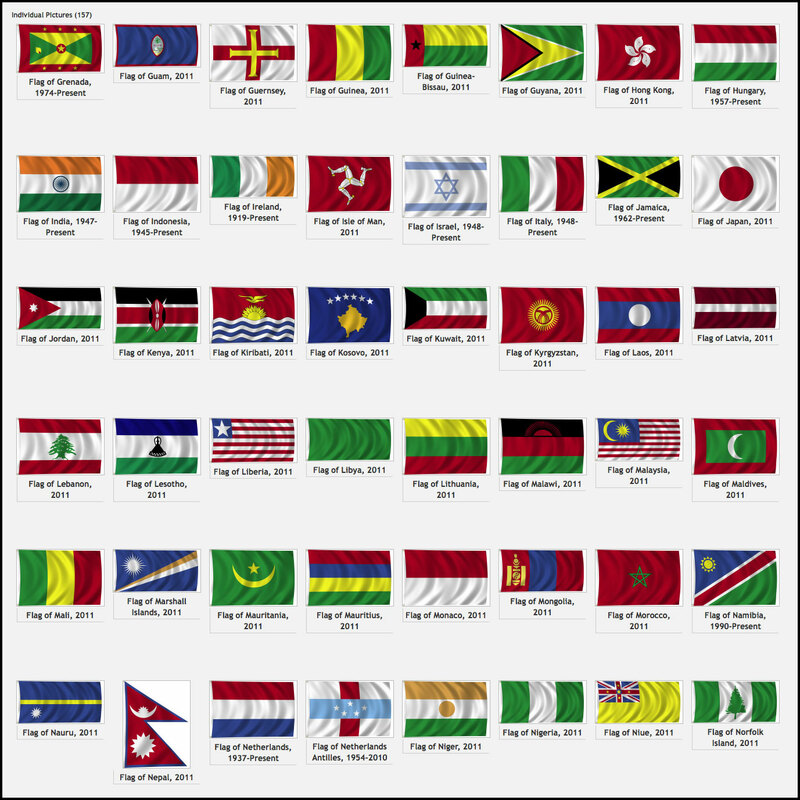 Over 150 contemporary world flags from the ClipPix ETC website. 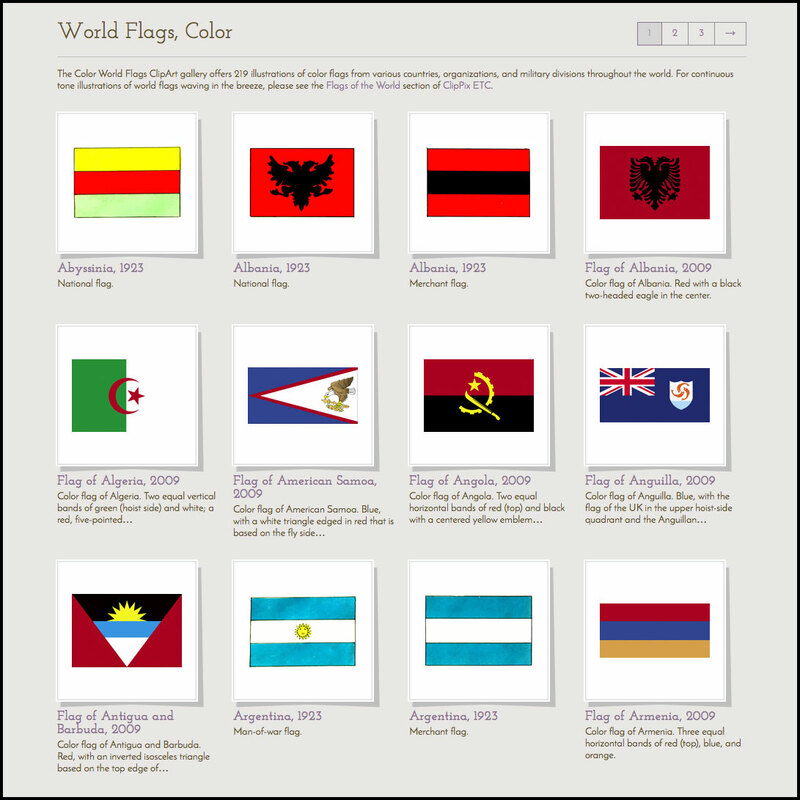 Over 200 current and historic world flags from the ClipArt ETC website. 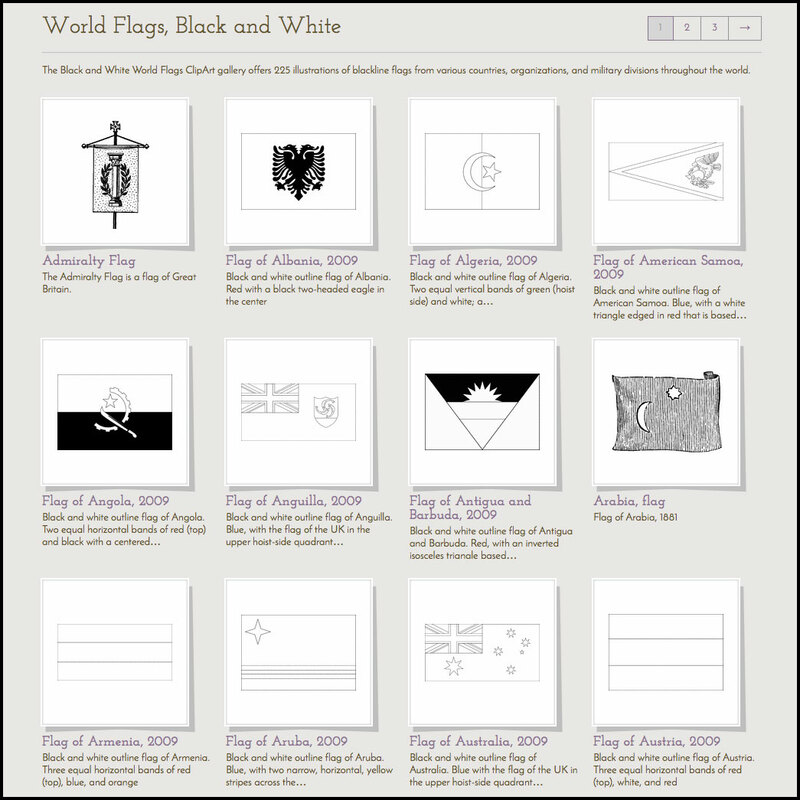 Over 200 black and white world flags from the ClipArt ETC website. Suitable for coloring or use as patterns. 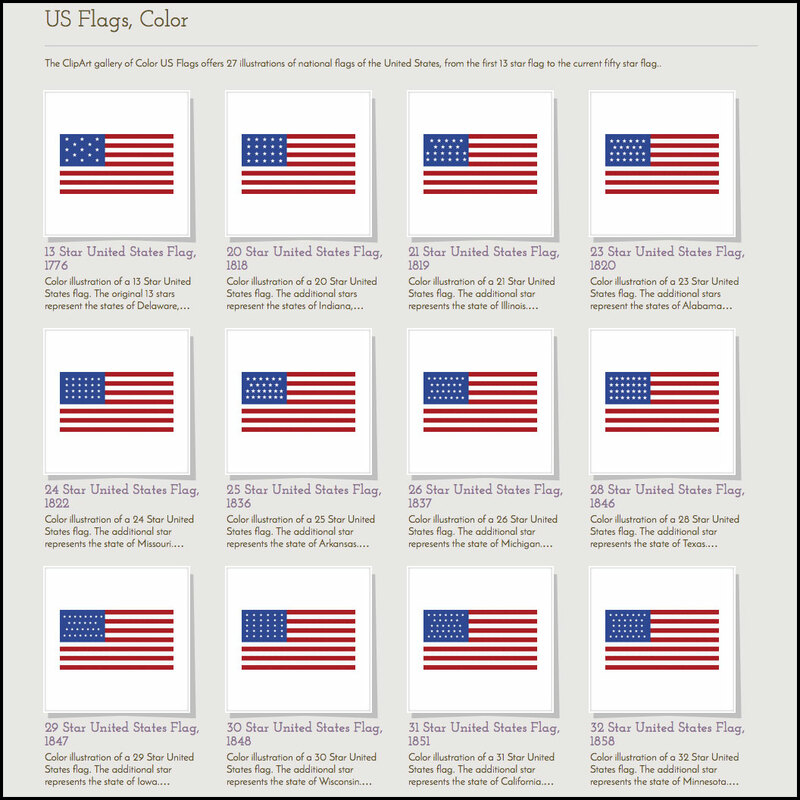 Twenty-seven historic US flags from the ClipArt ETC website. 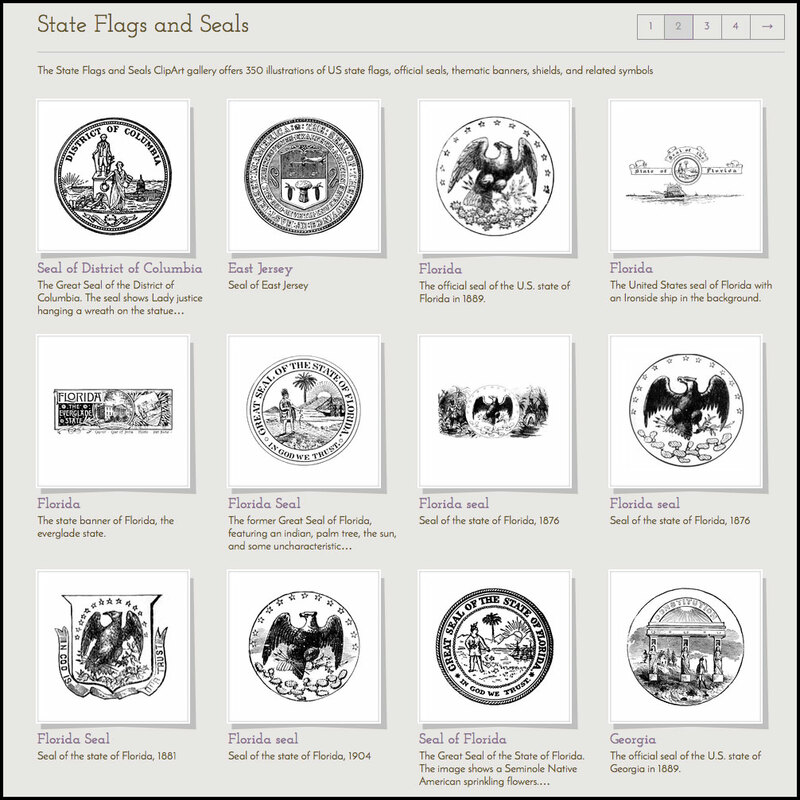 Over 300 state seals and flags from the ClipPix ETC website. Great additions to state history reports and presentations.